Prada will launch Luna Rossa Sport, a new flanker to 2012's Luna Rossa. Luna Rossa Sport follows 2013's Luna Rossa Extreme. Luna Rossa Sport was developed by perfumer Daniela Andrier, and features notes of ginger, juniper berries, lavender, vanilla and tonka bean. 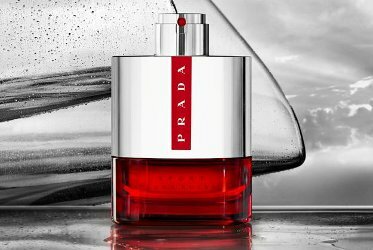 Prada Luna Rossa Sport will be available in 50 and 100 ml Eau de Toilette. Love me a little ginger up top . The bottle is interesting…want to see it in person. Loved the bottle for the original Luna Rossa too. sport? wasn’t the original very sport driven already?